Logan and I went to Samoa this morning to take a ride on the last day of Speeder runs for the year. It was a real blast. The views were great, the speeder was interesting, and the volunteers were friendly and knowledgeable. Dan Hauser was the tour guide narrating the trip. 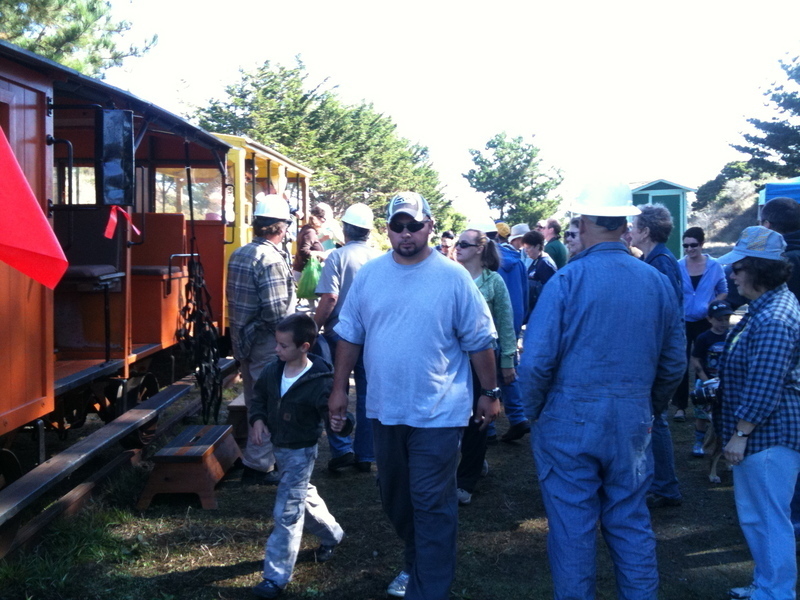 After the speeder run, we toured the Round House, the caboose, and all the other interesting exhibits the volunteers of the Timber Heritage Association have made available to the public. I hope that the THA is able to continue to work with the North Coast Rail Authority to open more sections of track around the bay. The crowds were thick, the speeder cars were full, and people were waiting in line for the next run. Obviously a popular activity for locals and tourists alike.